CAIRO (AP) — The United Nations and individual donors are rushing food to a desperate corner of northern Yemen where starving villagers were found to be living off leaves. Aid officials are searching for ways to ensure aid reaches those in need amid alarm that the country’s hunger crisis is worsening beyond the relief effort’s already strained capabilities. 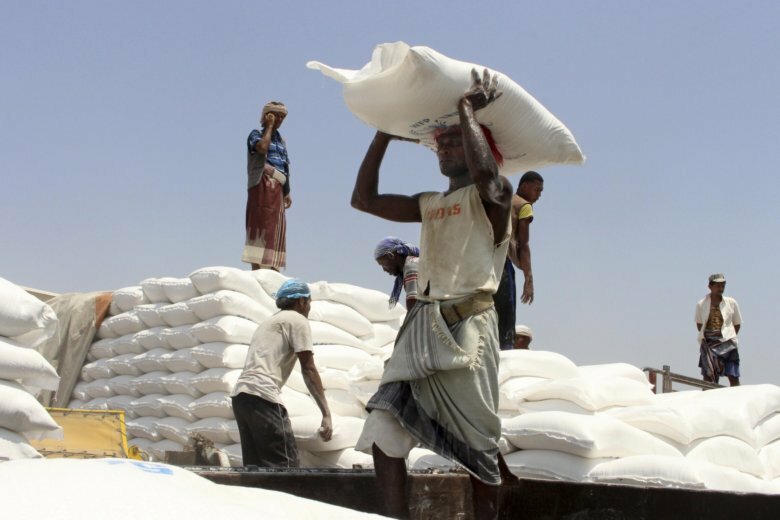 A local aid worker said WFP aid covers some 3,700 families in the district — “only the most needy, and even those are not entirely covered.” He said food baskets sometimes arrive with expired grain. UNICEF has also done two cash distributions to 5,000 people — one equivalent to $15 each, the other $30, he said. Most families need four bags of flour a month, each costing the equivalent now of $20. Anderson, of the WFP, said the agency is planning to scale up assistance to cover 43,000 people monthly as of November. WFP is also going to re-assess the situation in Khayran al-Maharraq, to get a “more accurate snapshot of the food security situation,” he added.